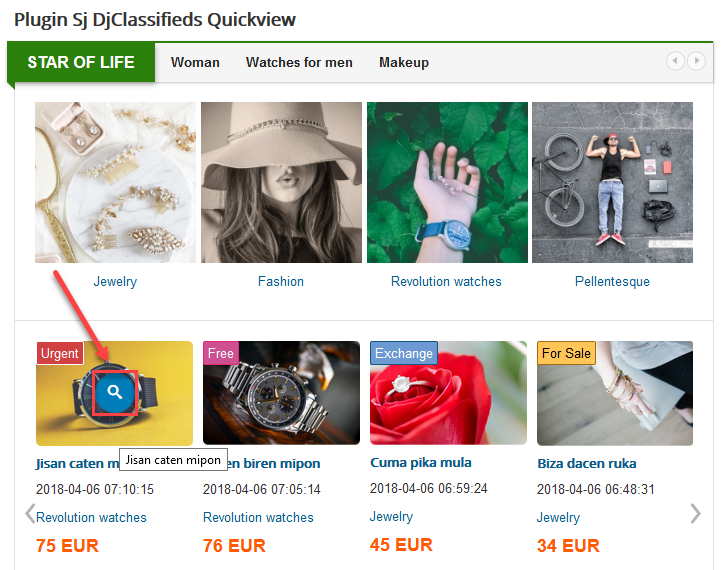 This guide will help you install Plugin Sj DjClassifieds Quickview step by step. 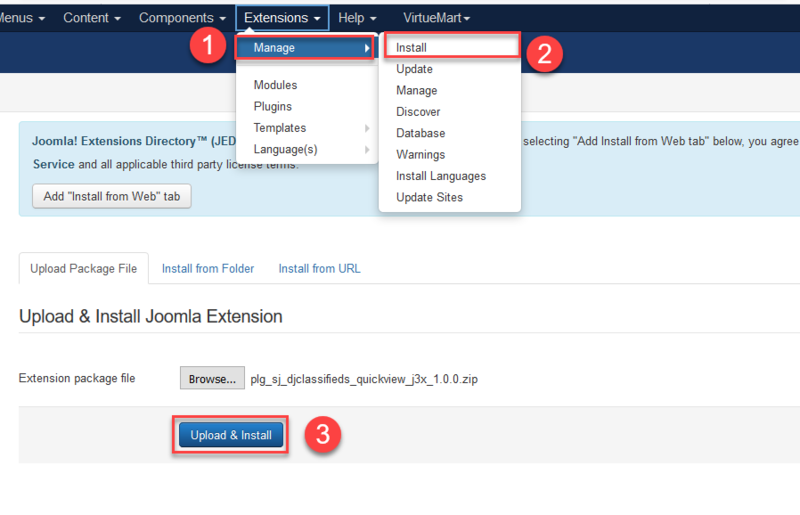 In your Administrator page, go to Extensions -> Extension Manager. In this page, click Browse, select plug-in package. Please wait for plugin being installed, usually within several seconds. 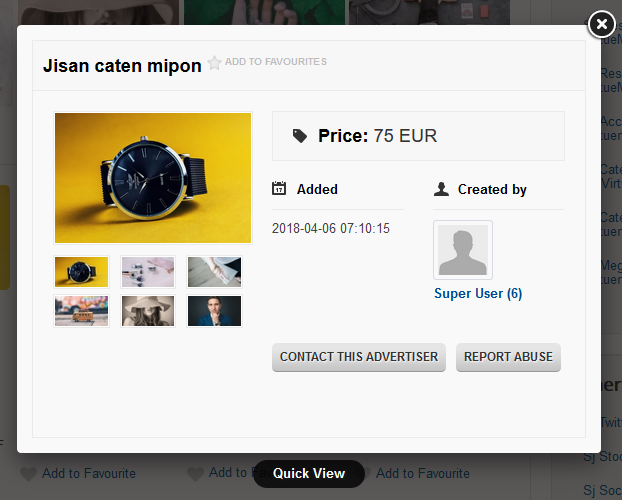 Label Button – Allow to change name of button. Auto Size – Allow to select auto size of Quickview. If you select “Yes” then it will set both auto-height and auto-width. 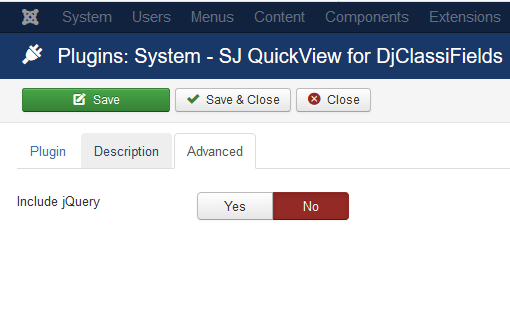 Popup Width – Allow to change width of Quickview, unit(percent). Popup Height – Allow to change height of Quickview, unit(percent). Display Overlay – Allow to select overlay OR not. Include jQuerry – Include jQuery OR not.